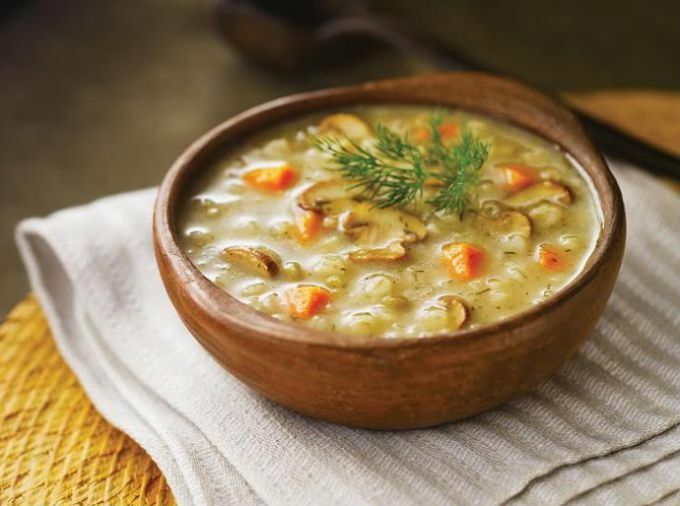 Mushroom soup - delicious and nutritious dish. Fresh frozen mushrooms are prepared very quickly, and when cooking you can add the soup to your taste rice or pearl barley. To thicken experienced cooks add a little flour. Mushroom soup can be served both hot and cold. Drop the mushrooms into the water, over high heat bring to a boil. Remove foam and reduce heat, simmer 10 minutes. Potatoes peel and cut into strips or cubes. Add the mushrooms and cook for 5-7 minutes. Onion peel and finely chop. Peel the carrots and grate it on a coarse grater. Saute onion and carrot until transparent bow. Add to vegetables flour and stir quickly, add the half Cup of mushroom broth. And stirring continuously, dissolve the flour. Add the sauce into the broth, stir it well. Leave on medium heat for 5 minutes. With caution give mushrooms to children, as this product is not very well absorbed and stomach of the baby may be too heavy. Mushrooms are a very specific product. They require careful heat treatment. The smaller mushrooms are chopped, the better.